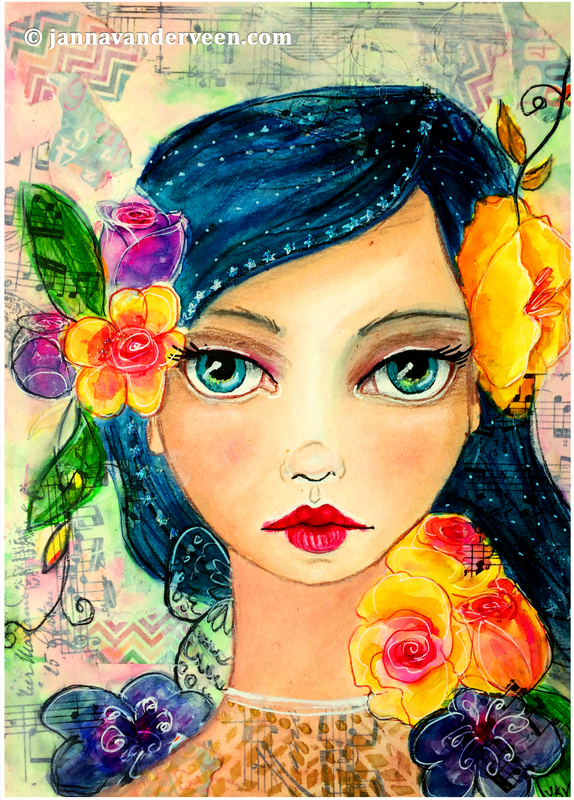 Mixed Media Painting | Tamara Laporte Style "Flower and Ink Girl"
One of my favorite on-line art teachers is Tamara Laporte from willowing.org in South England. An accomplished artist and soon to be author, she has mastered the craft of creating whimsical characters on paper. 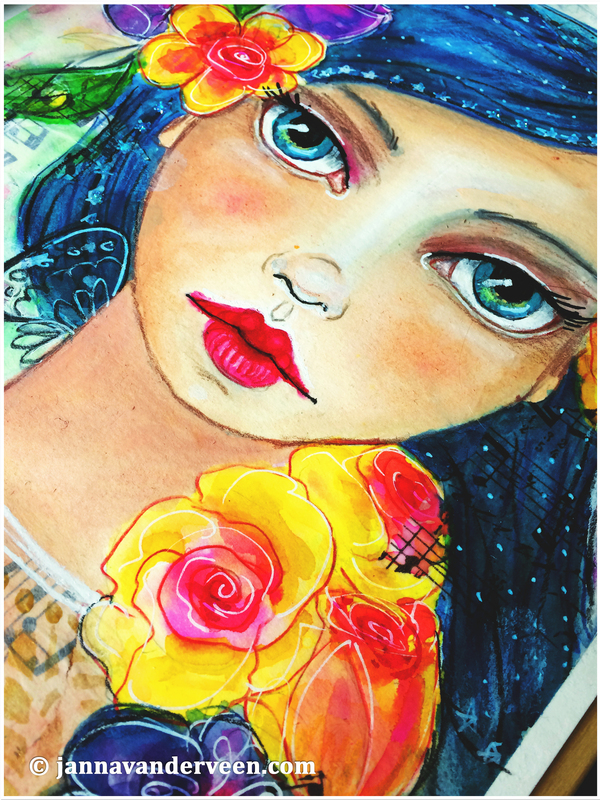 She recently completed a series of paintings using only a few Tombow markers and some Caran d’ache neocolor crayons. I was intrigued by the simplicity of her supplies and the complexity of her pieces, and thought that I’d try to emulate her work. I had to improvise on my supplies, since I do not own Tombow markers (they are on my bucket list of art supplies to someday own), and used a variety of watercolor paints, inks, and pencils instead. Overall, I think my whimsical girl turned out pretty nice.